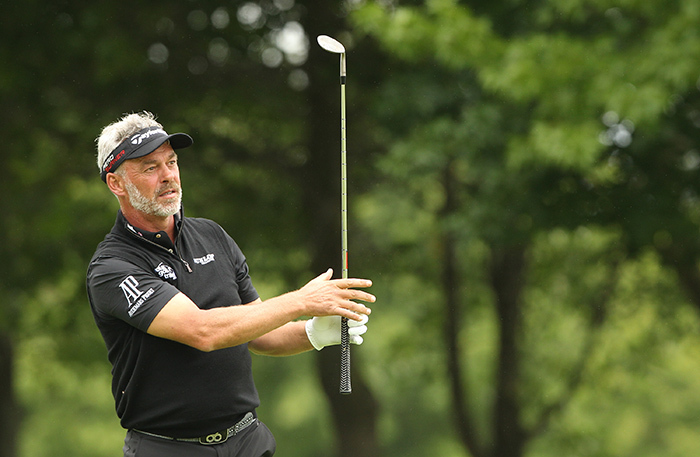 European Ryder Cup captain Darren Clarke is headed to Sun City this week to take his place in a quality field of Olympians, celebrated sports stars and international business leaders for the Gary Player Invitational presented by Coca-Cola. This will be Clarke’s first tournament appearance in South Africa since the Ryder Cup at Hazeltine in September as he lends his support to Grand Slam champion Player’s goal of raising $100-million for charity through the global Gary Player Invitational series. The South African tournament, to be played at Sun City’s Lost City Golf Club from 24-27 November, is the last of the six-tournament series worldwide. Clarke joins an illustrious list of European Ryder Cup captains who have played in the South African leg of the global series. Ian Woosnam, Sam Torrance and Mark James have also all supported the Gary Player Invitational presented by Coca-Cola over the years. Clarke forms part of a 2016 field that includes former England and Manchester United football star Andy Cole, legendary Springbok rugby captain John Smit, US Open champion Michael Campbell, former Bafana Bafana and Kaizer Chiefs defender Jimmy Tau, South African Olympic swimming great Roland Schoeman, South African Olympic golfer Paula Reto, and European Tour winner Haydn Porteous. Irish singer and longtime Gary Player Invitational supporter Brian McFadden will also be at Sun City. ‘I’m delighted to be taking part in the Gary Player Invitational tournament,’ said Clarke. As golf’s global ambassador, Player has set the target of raising $100-million for children’s charities through The Player Foundation, and bolstered by this series of tournaments in the United States, United Kingdom, China, Japan, South Africa and the UAE. The Foundation has already raised more than $62-million. ‘It’s been a very busy year for Darren and I’m thrilled that he has decided to join us in our charity effort in South Africa,’ said Player. All proceeds raised from the event will go to various selected charity beneficiaries including Wings and Wishes and Wildlands.